What Does the Everyday Roots Book Promise? 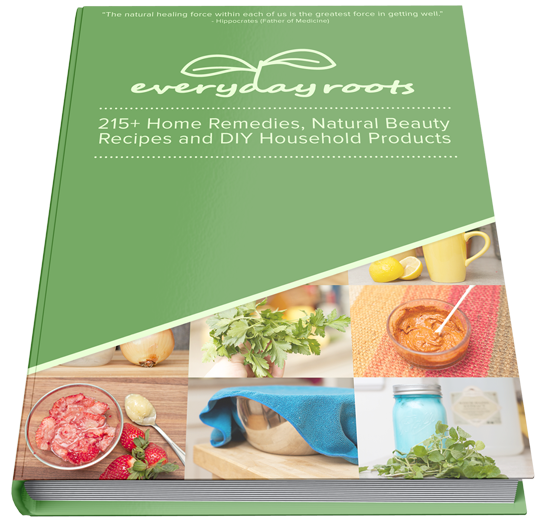 Claire Goodall’s Everyday Roots Book features more than 215 recipes for natural home remedies, beauty products and household products that can be made in the home. Alongside the recipes, we find various lessons that equip us with the skills we need to actually make our own beauty, hygiene and household products. Thus, the Everyday Roots Book teaches us how to treat a variety of conditions, including coughs, seasonal allergies, headaches and natural sleep remedies using a variety of completely natural items like coconut oil, honey and apple cider vinegar. We are also provided with all the tools and resources necessary to switch from chemical-based hygiene, beauty and cleaning products to all-natural items made at home, which means we’ll always know what ingredients are included. Everyday Roots not only promises we’ll see substantial savings every month but that we’ll have the information we need to become less dependent on conventional pharmaceuticals, large corporations and massive retailers. According to Goodall, this book came about as a result of her experiencing issues with medication she was taken for a condition she suffers from. 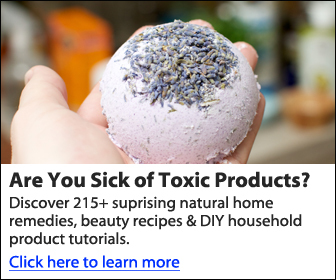 She explains that she used to be like everyone, eating junk food, using chemical-based beauty and hygiene products, and cleaning her home with toxic household cleaning products, without realizing precisely how dangerous all those chemicals were and what a bad impact they could have on her health. In 2009, Goodall was feeling extremely tired and fatigued. This is when she realized the medication she was taking was no longer working. She decided to investigate further and that’s when she started becoming aware of how many products contained harmful ingredients, reading more like science experiments than items we should be ingesting or using every day. At this point in time, she decided to make a change. She started her website and discovered that there were thousands of other like-minded people, with whom she established a connection. The Everyday Roots Book is the culmination of her journey and the experience she has gained as she feels it is her obligation to share all the wonderful discoveries she has made with the world. Does the Everyday Roots Book Deliver? This book does exactly what it promises in that it provides a wide range of recipes and lessons to help people switch to a more natural and less chemical-filled lifestyle. The book is well-organized, making it easy to read and later use as a reference book. Even if you have absolutely no knowledge of living a natural lifestyle will have absolutely no problem understanding Goodall’s casual and information writing style. Furthermore, the recipes and instructions are detailed enough for even the greatest novice to follow easily. This book provides us with natural remedies and products, which can often have differing effects on different people. Furthermore, it can take a while for the benefits to become apparent, especially when treating various medical conditions. The timeframe will differ depending on the ailment, the remedy and even the person. Also, all the information contained in the book is based on anecdotal evidence, namely Goodall’s personal experience. The book doesn’t contain any scientific evidence backing Goodall’s claims. However, all the products do use natural ingredients, and these rarely have side effects. 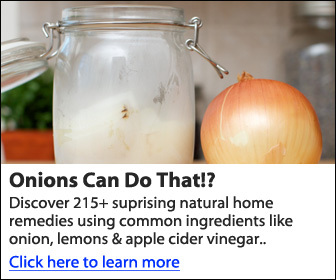 Despite this, we feel strongly that if you are suffering from a serious medical condition, you should never replace your medication with a natural remedy, especially without consulting your doctor. In fact, before making any decision, it’s a good idea to consult your doctor. All in all, the Everyday Roots Book delivers on its promise. Considering that it retails at a mere $37, the over 215 recipes it contains make it more than worth every penny, especially considering the savings promised by making beauty and cleaning products in the home.